Hi there! It's almost summer here. So I think it's great time for getting our bodies ready for this perfect time. It should be something like changing our beauty routines so our skin looks stunnig before the summer starts. Since I started the blog I have never known which exactly cosmetics should I buy. 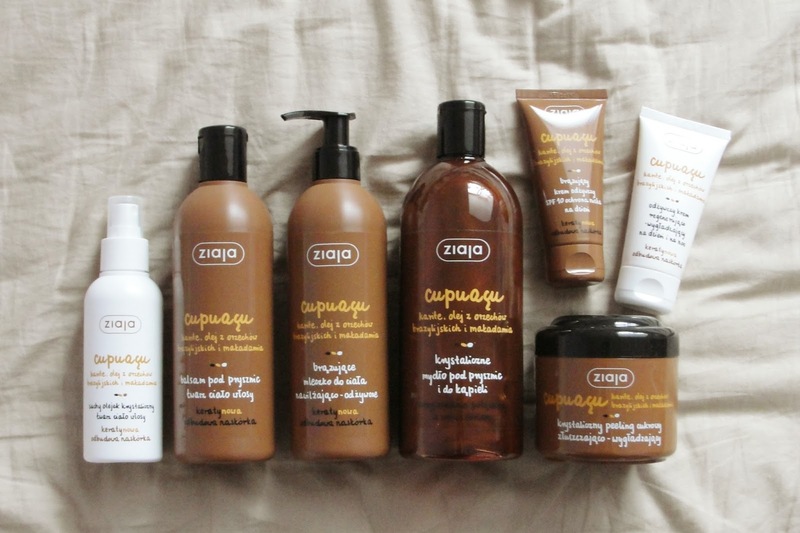 However there are so many different products this time I wanted to try the Ziaja Cupuacu collection. Because as soon as I sniffed one of these products, I just fall in love with the chocolate-nutty sweet smell (I'm sure you as well!). And I instantly decided that I have to get the whole collection (in a secret I can tell you that Ziaja is one of my favorite brands). 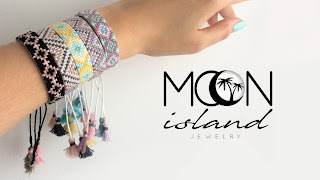 Anyways I will show you that this collection is worth trying! It's a new thing for me. I mean that this oil isn't oily at all. Yes, I know it sounds weird. It's something like an oily lotion in spay but it doesn't left the oily spots (on clothes if you touch it too quick after using the spray). This is a quick and easy way to oil ease your skin after sunbathing. It's a great alternative for traditional lotions, because most of us forget to use it after shower or just don't want to because it doesn't soak so fast as we wish. What to say more? It just makes your life easier and does not take so much time... and makes your skin really soft. There's nothing better than sugar scrub! I don't know how you, but I can only use natural scrubs. This one makes your skin looks healthy and really soft. It also reduces dryness and roughest. It can be used during whole year to reminds you the great time you had in summer. Anyways it's a great moisturizer and smells great so you can relax. If you are not planning to go anywhere for vacation but you love having tan this one product will makes you happier. I mean the skin looks like it had a natural tan and is moisturized as well (almost like 2 in 1!). Really light and relaxing cream. It reduced the dryness and makes your skin looks healthier. Perfect product under the makeup. It had the SPF so you don't have to worry about putting the other products before. It also gives you a little bit of tan (it's time to change the foundation for darker one 🙈). Don't forget that all products contain macadamia and Brazilian nuts oils (supposedly the best oils). Hope you enjoyed the post. Let me know if you liked it and if you want to see more like this. Or if you have any requests I'm always open for all!